You were in the country in total isolation and don't know what's going on in the world. In the shed I found an old transistor radio, you really want to get him to talk, but battery is not at hand. But in the country there are certainly many other things from which it is possible to construct simple batteries. Cut the lemon in half. He will give necessary for the current source acid. It is recommended to cut across. Lemon fix in a glass or a glass that it didn't roll on the table. Stick in the flesh of the lemon, copper and iron pins at a distance of 0, 5 – 1 cm. They will serve as battery electrodes. The negative electrode plates, positive – med. This should be considered when you connect a battery, for example, a radio or camera. Solder the pins to the pieces of wire. If the device to which you are doing the battery, it has external input for a power source, can connect the resulting battery device using this connector, pre-selecting the desired number of elements. The elements must be connected in series using wires and soldering. If the external device connector has not, take 2 wood sticks, cut them to the shape and size of batteries you normally use. Drill through them lengthwise, so you can thread the wires from the battery. Contacts the easiest way to make from metal drawing pins to which are soldered the occasion, after which the button fixed to the ends of sticks. Insert the sticks into the battery compartment, observing polarity. Contacts push the contact group. The container should remain open during operation of the device. The lack of "lemon" battery in that it gives little current. In order to build a more powerful device, you will need several lemons and a few pieces of wire. But you can dig in the shed and find other things, too, can make the power source. Try to make a simple galvanic cell type Leclanche. 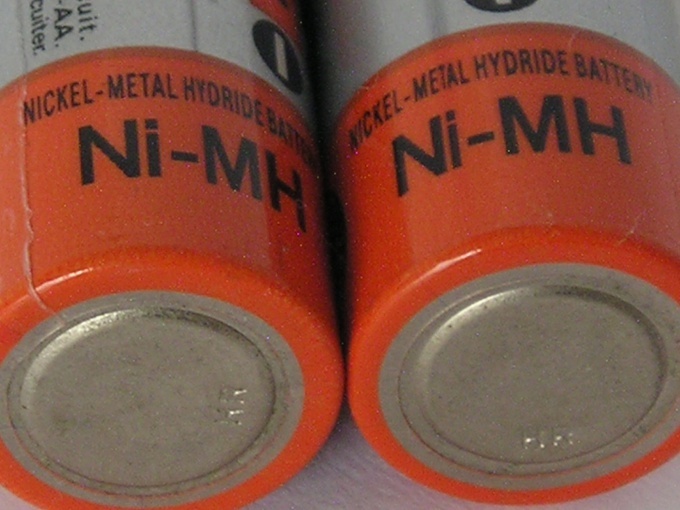 Pairs of electrodes in this case can serve as a pair of plates of zinc - copper, aluminum-copper. The more floor space the better. To electrodes of the solder wire. If you have the aluminum plate, the wire will have to tape or priklopiti. You need the normal glasses. In a glass, immerse the pair of electrodes so that they do not touch each other. You can put in between plastic or wooden spacer. Prepare a solution of 100g of water, 50g of ammonia (ammonium chloride), or 20% sulfuric acid solution. Acid must be poured into the water and not Vice versa. 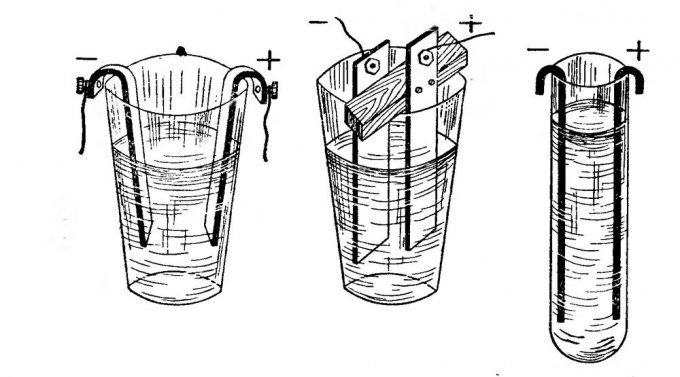 Carefully pour the solution into the vessel with the electrodes to the edge of the vessel and to the upper part of the electrodes was not less than 2 cm of dry space. One such element provides a first voltage to 1.3-1.4 V. Connecting elements to the battery, you can get powerful power source, sufficient for supply of mobile devices. In this case, the food is better to steer via the external connector (which usually charge the phone). Carefully follow the polarity switching. Lemon or orange should not be dried. If there is no copper pins, fit a piece of bare copper wire. When working with acid, use caution. Lemon can be replaced with orange. The lack of substance of plant origin in the fact that the current is constantly changing.